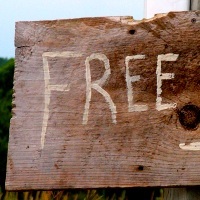 Update: “Free Books Monday” has moved to a separate blog with daily updates. Check it out at www.christianbooksfree.com! I’ve scoured the Internet to find you these free books for the week. I do not endorse any of the books listed here. It is quite possible that I strongly disagree with them. They simply represent the free books I have found that seem like they might be of interest to some. Since I have not read them yet, I could be wrong. The book descriptions are taken from their pages on Amazon. These books are usually free for a limited time only. Grab them right away if you’re interested. I plan to keep posting free books every Monday, so be sure to subscribe to this blog if you have not done so already. Martin Murphy wrote this book to provide Basic Christian doctrine to the Bible student. The biblical topics are placed in logical sequence so that each one lays the foundation for the next topic. It will give Christians a basis for expressing the reasons they believe. Although Bible doctrine is essential, it must be meaningful for individual spiritual growth. This brief study of bible doctrine incorporates both doctrine and application. This work is an explanation of the essential doctrine of Christianity based on the teaching found in the Apostles’ Creed. It further explains other basic Christian doctrine like creation, sin, and salvation. The author explains how the Ten Commandments are basic to Christian doctrine and includes a chapter on biblical evangelism. The pastor, teacher, new believers, or seasoned believers will be refreshed by The Essence of Christian Doctrine. It is also an excellent resource for Sunday School or group Bible study. It would be a great daily devotional for any serious Bible student. An honest look at how women use their beauty to seduce men! Whether you like it or not you are using your beauty for something, but are you using it to empower a man or are you using it in a way that leaves him powerless? Both Esther and Delilah were beautiful women in the Bible. Both women seduced the man in their life. One woman used her beauty to save her people; the other woman used her beauty to destroy her people. Today’s women are no different from Esther and Delilah. The Grace Discipleship emphasizes the believer’s identity in the Lord’s death and resurrection. The course consists of 12 assignments covering topics such as: eternal life, forgiveness, identity, power, inheritance, prayer life, witnessing, service, freedom, spiritual maturity, giving and life purpose. This book is for women called to ministry, those struggling with their callings, or others who want a fuller understanding of what the Bible teaches about women in ministry. Troubling Her explores what the Scriptures teach about women and leadership in the Church. The conclusion? God calls women to fully participate in every ministry function. There are many books currently available on women in ministry, but this one is different. Why? Because it does not use cultural arguments in refuting traditional interpretations of 1 Timothy 2, 1 Corinthians 14 and other verses. Instead, this book argues that understanding those verses within the entire context of the Bible leads to different interpretations. So rather than suggesting that what the Bible teaches is untrue (or only true for certain time periods) Troubling Her argues that the view of God has always been the same—that women are called to lead—and viewing the Bible in its entire context reveals this truth. Let your friends know about these free books. Share this post on Twitter, Facebook, and other social media networks using the buttons below. Be sure to subscribe to learn about more free books every week! Are you familiar with any of these books? Share your thoughts on them! What about the Other Great Commissions? What if Ministries Stopped Asking for Money? What Does It Mean to Love One Another?